Yohan Cabaye and Papiss Cisse reportedly have reservations about leaving Newcastle United. While the Magpies will be delighted to hear about the former, the latter’s reluctance could harm their chances of signing Luuk de Jong. The Magpies are keen to keep Cabaye despite Paris Saint-Germain’s admiration for him, but they had been considering Cisse as a makeweight in their move for Borussia Moenchengladbach centre-forward de Jong. PSG have been flirting with Cabaye for some time, but no bid was forthcoming when the midfielder tried to engineer a summer move and despite continuing talk from coach Laurent Blanc, nothing has materialised yet in this window. The suggestion from France is Cabaye is worried about his opportunities at one of the world’s richest clubs, who are expected to make a move for Juventus midfielder Paul Pogba at the end of the season. Although Cabaye was stripped of the vice-captaincy in August, he is still well thought of at St James’ Park. He is the most influential of Newcastle’s French players and his closest friend in football is Mathieu Debuchy, arguably the Magpies’ star performer this season. Cabaye recently said he was not looking to leave this month, but a player of his quality will always be in demand. Although the two could easily play together, Newcastle’s interest in Montpellier’s Remy Cabella is seen as part of their planning for Cabaye’s eventual departure. Montpellier are involved in a Ligue 1 relegation battle and do not want to sell this season – or tax year. 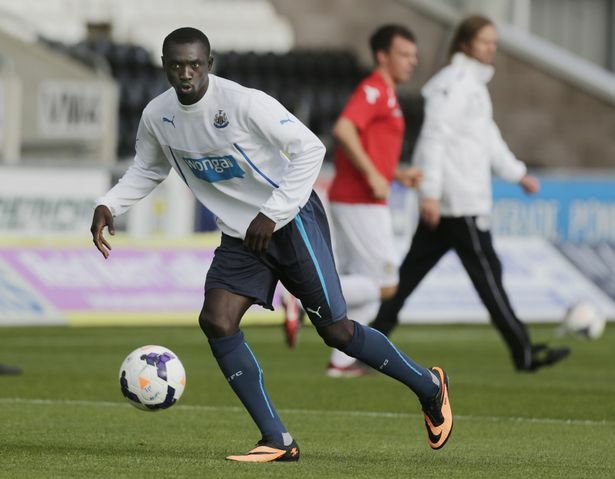 Newcastle’s attachment to Cisse is much looser after a disappointing season. He has scored just three goals and has not started a Premier League game since October 5. Newcastle are willing to sacrifice Cisse to fund a move for someone to ease the goalscoring burden on on-loan Loic Remy. Summer target Bafetimbi Gomis has reportedly flown to Italy to discuss a move to Inter Milan. With the 28-year-old out of contract in the summer, some had thought Newcastle would be back in for him - his agent Francesco Di Frisco having suggested the Premier League was his likely destination. Meanwhile, Mike Williamson has been spared the indignity of an own goal after the Premier League’s Dubious Goals Panel awarded West Ham United’s only goal in this month’s game at Upton Park to Carlton Cole.